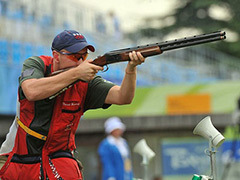 The Olympics brought yet another year of international excellence in both sports and humanity. We watched, held our breathe and cheered for the many participants, no matter what country of origin. The Olympics has always been a symbol of world wide unity, but throughout history, there have been some sports that we just scratch our head and wonder why they were even considered. Here are a few that have been entered into the ‘what were they thinking’ category. 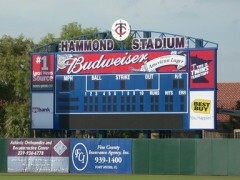 Why does Your School or Team Need a Baseball Electronic Scoreboard? There are those that keep a warm spot in their hearts for the sound and feel of the old time baseball game. There is a certain feeling of stability and a down home touch that we associate with the crack of the bat against the ball and the smell of the hot dogs in the air. Whether it was a hot day game or one of the cooler evening games, you never noticed the hard wood of the bleachers, and you patiently waited as each new score was flipped on the scoreboard. 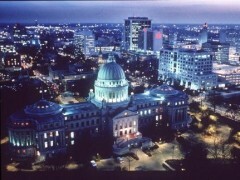 Jackson, Mississippi is in the heart of the south and has been home to music and the Civil Rights movement. Originally the lands of the Choctaw Native American tribe, it retains its history of the Native American influence combined with the early French and European settlers. One might think the history cotton, beans and livestock is a thing of the past, but in Jackson, it remains a thriving industry to support the area. The residents also pride themselves in their sports, and you can see this pride displayed in the college and university games and even at a roller derby tournament. But it’s baseball that is at the heart of Jackson; and this can be seen at every game, where the baseball scoreboards match the fans yelling with every home run. Jackson’s past has included so many changes that it is astounding the city survived. Named after President Andrew Jackson, it was the heart of the industrial support for the Confederate Army during the Civil War. Like many southern cities, the loss of the war took it’s toll on the people and the town. Unlike other southern towns, it took many years for Jackson Mississippi to begin a comeback in growth. While recovery was slow, it was steady and the city began to see a decline in the mule drawn wagons a older structures, to be replaced by automobiles, mass transit and newer modern buildings. The idea of sponsors for a sports game is not new. Since the first baseball was thrown out, there has always been a local business that wanted their name or logo on a sign to show the support of the community. Today, however, we have entered the world of high resolution, instantaneous updates via the electronic scoreboards and every sports team manager and school is seeing dollar signs for the marketing opportunity of scoreboard signage. Chesapeake is a relatively new city. Formed in 1963 with the official name, and known as one of Virginia Beach and Norfolk’s bedroom communities, the area is highly prized for its natural beauty. Chesapeake is also home to a part of what is known as the Great Dismal Swamp, as well as many historic landmarks. 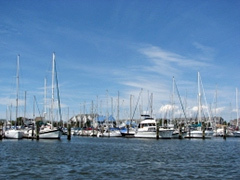 The development of Chesapeake has focused on the protection of nature and their history and has given the area the listing as one of the best cities in the United States. As such, it is also not surprising that Chespeake has some of the most avid sports fans in the country as well. It is apparent that a good amount of the budget has been given to the recreation center to maintain the many fields and venues for softball, basketball, tennis, swimming and the baseball scoreboards. The City of Wheeling in West Virginia has one of the most striking historic skylines which is both welcoming and lends to a level of deep respect. 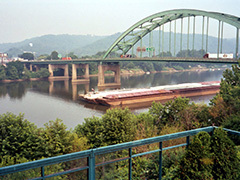 Home to the Wheeling Convention, this modest city was the springboard to the development of West Virginia as a U.S. State. Wheeling is also home to some of the most avid sports fans around. A visitor can see the blend of historic with the new parks and recreation areas. 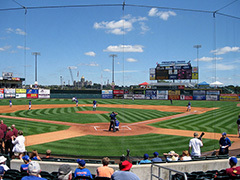 Sporting games of all types are played, and baseball seems to be the most popular. Games are attended by the people of Wheeling, cheering their favorite team as they watch the baseball scoreboards with eager anticipation. The plans for the Wheeling Sports Complex has created controversy between sports fans and the history of their beloved town. Baton Rouge Louisiana conjures images of an elegant southern city with some of the most unique architecture in the country. 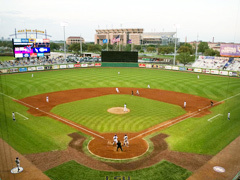 College sports is a major influence in the city, with their famous Tiger Stadium football games, and the over the top fans for baseball games, the baseball scoreboards are usually alight with color and the fans are incredibly supportive of their teams. While it is the capitol of Louisiana, it has an incredible mixed cultural background and a truly odd reason for the origin of its name. The area of the country that we know as Baton Rouge was actually inhabited as far back as 8,000 B.C. with a hunter gatherer tribe. Its location was discovered in 1699 by a French Explorer, when he came across a series of poles planted in the ground and strung with bloody animals. These were the markers for the territories of the local tribes. He coined the name ‘baton rouge’, which means red batons or poles. The Dundalk Maryland area has its roots in the foundry industry and the history is a topic that the local residents carry with pride. Some of the nation’s best sports players have called Dundalk their home and the area loves and supports baseball and basketball as their key games. The community is now one of the first neighborhoods outside of Baltimore but the city’s name is all Ireland. The original inhabitants of what is now Dundalk were the Susquehannock Native American tribe. According to the historic records, the area was actually discovered by John Smith but wasn’t established until a few years later when Thomas Todd actually purchased acreage and built a home. While the original home was lost in the War of 1812, it was rebuilt and remains in Dundalk today as part of their history. Baltimore is a city that has its roots from the beginning of our country’s development. 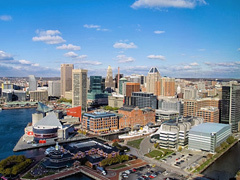 The unique port location gave Baltimore the advantages of being the largest port near the sea in the Mid-Atlantic U.S. While this may have spring boarded the port city into a thriving community, it also brought a multilayer of culture which has contributed to the metropolitan city of today. Baltimore loves their sports and have proudly been the home of many playoffs and winning teams. Baseball scoreboards are the hot topic, but the stadiums for football and soccer have also become more popular venues for the fans. 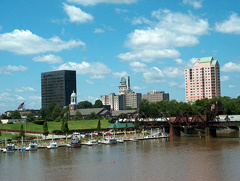 The Savannah River may be the main reason for the existence of Augusta, Georgia, but it’s the people of the area that has made this city thrive. The rich beauty of the land combined with the lush river and many falls have been the attraction of residents throughout history and is retained today as a world renowned golfing championship center. Golf isn’t the only sport that takes front and center in Augusta. This is home to baseball, ice hockey, rugby and roller derby fans. But it is the baseball games that seem to draw the largest crowds. The town almost empties when their Green Jackets team is playing. The field and the baseball scoreboards are testiment to the love of sports in Augusta. Lexington, KY: Hot on Baseball and Ranks 10th for Education in the U.S. The city of Lexington may now be known as the center for horse and race excellence, but anyone who visits or lives in the area knows that there is a rich variety of sports and sports enthusiasts. The Kentucky Wildcats have over twenty two varieties of sports. While residents will often debate which is most popular, basketball and baseball seem to be the main sports that attracts fans. The baseball games are currently the most popular with the results posted on the baseball scoreboards and great attendance of every game. Originally named for the Lexington, Massachusetts victory, the concept for the town was put on hold as they built stockades to defend against Native American and British attacks. The evolution of this area eventually changed to taking advantage of the Bluegrass fields as a world wide center for the breeding of some of the world’s finest horses. Gulfport is a city of beautiful beaches and some of the best pop culture competitions in the country. A harbor city with its root in the lumber industry, it has progressed to be a wonderful tourist town. Milner Stadium is host to some of the most rousing sports competitions you will find in any town; and the local residents support their baseball team with colors, banners and the excitement of the results of every run on the baseball scoreboard. Originally started as a location for the shipment of lumber by two of the railroad and lumber magnates of the time, Gulfport had a huge infusion of investments to ensure that it was a functioning seaport. The beautiful beach area, combined with the location attracted people from all cultures to stop in for a visit. Progress continued so that the little community grew with the tourism trade, opening inns and later motels and casinos. The geographic location became the home of the U.S. Navy Atlantic Fleet Seebees with active, Coast Guard Auxiliary and reserves on duty at all times. 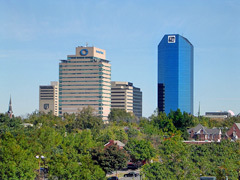 Covington is considered to be a more new city in Kentucky, having been established in the early 1800’s. 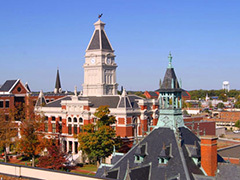 The beautiful scenery and picturesque setting, combined with the variety of things to do and see gave Covington the award of one the Best Destinations of 2011. Covington is also home to the game of baseball. Their love of the game has shown that this is truly an American city. The support attendance sets records and the baseball scoreboards that light the game at Cincinnati Reds Stadium. The beginning of Covington started in 1816 with the purchase of around 150 acres by the founders of the area. At that time, it was referred to as “The Point”. 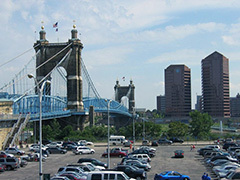 The close proximity to the bustling city of Cincinnati offered a lot of growth opportunities. The land was coveted by many and soon homes and businesses were being established. While it became known as more of a town outside of the larger cities, it soon began to establish a name of its own with industries and commerce moving into the area. Clarksville Tennessee is one of those cities that have an incredible history in our country. 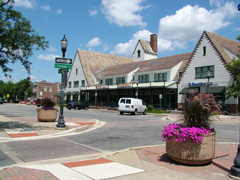 The historic downtown area is a vision of small town Americana, but set within a bustling city. There isn’t a single phase of U.S. history that didn’t involve Clarksville in one form or another and the residents have taken great pride in preserving much of the story for generations to come. The sports scoreboards of history show a literal who’s who of famous sports figures that have all come from Clarksville. In this town, baseball reigns supreme. The lands that are now part of Clarksville have been archeologically dated to habitation by Native Americans to over 11,000 years ago. While there are many tribes that have lived in the area, the most recent and notable are the Muscogee and later the Cherokee, Chicasaw and Choctaw. When the Spanish explorers arrived they brought with them European diseases that the local tribes could not combat and many of the native people died and relocated to escape the disaster. The influx of European settlers to the area created the need to displace the Cherokee people and a plan was designed to forcibly relocate 17,000 people of the Cherokee nation to another state, with lesser land quality. This was known as the Trail of Tears. Cherokee women. men and children walked from Georgia to Oklahoma, and over 4,000 of the tribe died along the way. When Mike Trout joined the Angels baseball team as the youngest camp player that year, he didn’t expect to be welcomed with a prank. 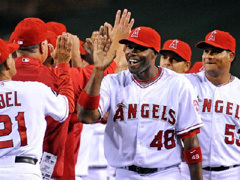 The Angels are known for their sense of humor and made sure that Mike didn’t forget the first time he walked onto the field to play. At only nineteen years of age, Mike Trout should have expected something from the Angels team. As the youngest player and listed as number eighty five in the Baseball America ranking, Mike was simply ripe for a prank. It seems that one of the Angels team members arranged for Mike’s cell phone number to be posted on the electronic scoreboard during mid game. A message accompanied the number encouraging fans to call and ask Mike their personal baseball questions. Jim Duquette, MLB radio network host was quick to ‘tweet’ the prank and the message was soon escalated to ‘viral’ status. 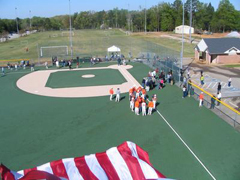 The Miracle League is part of the nationwide organizations that set up playing fields for special needs children and adults. Unlike a standard playing field, there are extra safety precautions that need to be considered for players and families on the field and in the stands. A new Miracle League baseball field is soon to be opened in Sarasota, Florida. The surprise donation of $10,000 is allowing them to add some of the necessary upgrades, including an electronic scoreboard. In this feature on baseball scoreboards, I will discuss the harmful effects of building baseball parks close to highways or busy roads. This is an important topic for any parent whose children play sports on a regular basis. If this is you, read on.. There is an insurmountable amount of evidence that vehicular air pollution leads to cardiovascular/respiratory health problems. This has serious consequences, which are talked about in a number of medical journal articles. Despite these facts though, many athletic fields, stadiums, and even children’s playgrounds are built right next to busy roads or even highways. In this feature on baseball scoreboards, I will talk about the controversy surrounding the advantages the new Yankee Stadium gives their team. In their latest victory over the Mets, it is claimed by many that the Yankees had a major advantage because of their new stadium’s hitter-friendly dimensions. The new Bronx stadium has been criticized by detractors ever since 2009, when it came to replace the old Yankee Stadium. It is often accused of being a “bandbox”, which is a slang word that refers to a ballpark that favors home run hitters because it has short fences. But are these accusations legitimate? Is it possible that the Yankees are winning their games because their own stadium gives them an advantage on the baseball scoreboards? Recently Southside High School bought a set of baseball scoreboards from scoreboards.net. In light of this purchase, I have decided to write an article about this school, and to take a look at the recent sporting achievements that it has achieved within the state of Arkansas. As of 2011, Southside High School, which is located in Fort Smith, Arkansas has been operating for 49 years, and in that time has received numerous rewards as a “School of Excellence.” The school now flies 3 flags which signify “Excellence in Education,” which were presented by Ronald Reagan, George Bush, and Bill Clinton respectively. In this feature on baseball scoreboards, I will examine the impact of alcohol sales on fans at baseball stadiums. If you’ve bought tickets to a baseball game, they will probably come with the assumption that you will be drinking alcohol there. Beer has become as an essential part of watching baseball as the baseball scoreboards themselves. But many fans of the game that are not huge fans of alcohol are beginning to complain. The public drunkenness is starting to get out of hand, with swearing, throwing things and even fist fights erupting. Baseball is great game to go and watch live, and be surrounded by tens of thousands of like-minded fans and the incredible atmosphere that they generate. Whilst some people go strictly to watch the action on the field, some are just as interested in partying at the stadium, during the game and after it. Personally, I fit into the second category of people – live baseball for me is about the excitement of the game itself, no doubt about that, but it’s also about the good times I have with my friends on ballpark days, the majority are followed by a great night out in the local bars! 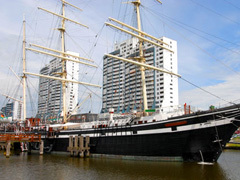 It was built in 1989 and originally called the Sky Dome. At first, everything was great at the Sky Dome, but things have changed in the recent years. Now at 21 years old, the amenities at the Rogers Center are not nearly as good as they used to be. And when they close the retractable roof, the feeling of a major league ballpark completely disappears, and it looks more like a comic book expo. Also, when a game isn’t sold out, the stadium feels too big. •Camden Yards (Baltimore): Babe Ruth’s father’s saloon once occupied the land where this ball park now stands. •Busch Stadium (St. Louis): an enormous manual baseball scoreboard replaced about 5,000 outfield seats in this ballpark. In a baseball scoreboards feature, I have collated what I consider to be the greatest MLB stadiums of the all. Have a read, and see if you agree! 1. Dodger Stadium, Los Angeles. This ballpark is built into the side of a mountain, and it overlooks the Los Angeles downtown area. Apart from the baseball scoreboards, from the stadium seats you have a fabulous view of the hills of Hollywood. The Dodger Stadium may not have the most central location, but it is easy to get to the other famous places in L.A. if you want to do other sightseeing after a baseball game. A ballpark is so much more than just a place to watch teams play and the score change on the baseball scoreboards. It’s an arena of historical moments where memories are made, which you may keep with you forever. Most ballparks have similar features, but only some have uniquely distinguishable characteristics that will make your experience more interesting. In a baseball scoreboards feature, I have brought together the five quirkiest baseball parks in the U.S. In a baseball scoreboards feature, I have recalled what I consider to be the greatest old MLB ball parks of the past. Coming from what may be referred to as the “older” generation, I have a few (granted, not many!) advantages over my younger counterparts. One of these is that I was around to enjoy MLB before it became as commercialized as it is now. Nowadays it is all about “user experience” and “selling the brand,” whilst back in the day, it was more about the sport itself, and not just simply the money that it generates. The “Green Monster” is one of the quirks of this stadium, which is an outfield wall 37 feet high. Other highlights of this stadium include the baseball scoreboards showing the Fenway history shortest majors home run as well as the longest home run. Some describe the Wrigley Field as a nostalgic experience, since the rest of Chicago has turned into a mini-Manhattan. The Wrigley Field remains old-school as it always has been, with its advertising-free ivy covered fences. Wrigleyville, the surrounding neighborhood remains the same as well. It’s already tough enough to sell tickets to spring games for fans to watch the baseball scoreboards show their favorite teams score. Attendance is pretty much flat across all baseball teams at the moment. Yet, this April things have been even worse than usual. About half a dozen teams have generated the worst crowds their stadiums have ever seen. This trend may pass, but it’s becoming evident that several teams are consistently not generating the crowds they need, no matter what their results on the baseball scoreboards may show. Concession stands and fast foods represent a big chunk of the business for every sport franchise. Every spectator in the audience pays the inflated buck to buy at least one food item and a beverage from the stadium concessions (and huge bucks for the ticket – all in the hope of seeing their team light up the baseball scoreboards!). However, with the pressure to feed approximately 52,000 people in one night, do the spectators get their money’s worth when it comes to food hygiene? 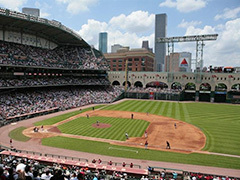 Let’s take a baseball scoreboards look at which baseball stadiums violated the state’s food safety protocols in 2010. The opening day weekend is here. Dozens of rookies have fought hard to make their way into the MLB and will now be looking at establishing themselves in the league this season. In a baseball scoreboards feature, I have taken a look at the top 5 rookies who we should be all watching out for in 2011. Even if you are a diehard fan, there is a high chance that you might not be able to watch all the matches you would like to see. However, with the exponential burst in mobile phone apps, you can make sure that you don’t miss out on any of the fun even if you do not have access to a TV. Here is a baseball scoreboards list of some of the best mobile phone apps for a baseball junkie. In a baseball scoreboards feature, we take a look at the 4 baseball rivalries that have truly got the fans and the players going! In a baseball scoreboards feature, we look at a dark side of the game of baseball, and recall the 4 moments that gave baseball fans their biggest ever shock. Steroid abuse is a menace in all kinds of sports. Players, in an effort to get that, proverbial, extra mile or the extra edge over other players resort to pumping their bodies full of steroids. Steroids are drugs that include testosterone, which when taken in this artificial manner makes the players more aggressive and strong. Increasing your strength and aggressiveness by taking drug supplements is strictly forbidden in all sports, not to mention unethical, because a sport is about the raw ability and talent of each player. Artificially enhancing your strength leave the other players at an unfair disadvantage. In a baseball scoreboards, feature, we look at the most infamous brawl ever to have occurred in the MBL. It is said that every sport is played with equal measures of skill and passion for the game, but what happens when the level passion gets too high? This has happened on more than one occasion in baseball. Around 26 years ago, in a particularly famous incident, there was a game in which a lot more passion than skill was shown off. The end result was one of the greatest baseball brawls ever.